”Sleep Awake” has hunted the virtual space since its completion, in 2012. Sensorial, visceral disturbing as ghosts usually are. They said it was a movie about the living silence around us. About the fight between our fears and desires. Some attended the screenings in a few artsy bars/clubs in Bucharest. Some loved it. Some hated it. Nobody left without a reaction. Anda, 24, the film’s producer, says that there is no other hard essence of the film than the disclosure of the most intimate feelings of each observer. Excitement, disorder, trouble, confusion, unrest. Maybe more. Anda and Andrei, producer and director, completed Sleep Awake, a Romanian independent movie and they already have plans for new films: “Linear A”, telling the story of an unusual couple, dealing with poverty and trying to make noise music as a band and “Thraum”, a more complex project, needing a budget, the story of a child that metamorphoses, as he got growing a pair of spectacular butterfly wings. Sleep Awake is available for watching online or download here or you can order a hard copy here. We met Anda on a cold Sunday morning in the middle of the deserted battlefield of the Old Centre and soon shared common feelings about Bucharest, its people and places, which made everything much easier. Short-haired, vivid eyes, straightforward and natural, Anda is somehow representative (she might not agree:) for the new generation of people doing things out of passion and conviction, having something to say to the world without being driven by the financial rewards (which are good, when not a purpose.) She thinks independent, acts independent and has a weakness for independent films. Qualia Films is a concept/film production house, without a legal statute, dealing with films about marginal groups with the intention of exploring things that are out of reach or that we are usually scared of. It started with the core team Andrei, me, Sorin Nainer and the assistant director, Sabina. My first project with Andrei (a test drive also, that’s how we’ve met) was a noise-dance videoperformance in the “jungle” at Moara lui Assan, called MENO. Independent filmmaking in Romania, is there a formula? Who is making independent films in Romania and for whom? Crazy people for crazy people. As it’s obvious that you don’t gain from it, and the ones who come to see it, they don’t come for entertainment. Artsy, crazy, niche people are coming for niche people, mainly the public of visual and contemporary art. 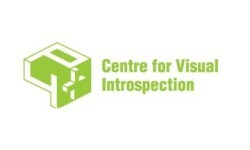 Is there a movement, a community of the Romanian independent filmmakers? Well, there is not a movement yet. There are attempts. As George Dorobantu’s Elevator, or George Focsa’s Tangonator. There are also Florina Titz and Florin Piersic jr , making independent films. But there is no community or at least a virtual meeting place. Everyone is doing it of their reasons, and it is ok to be like that. 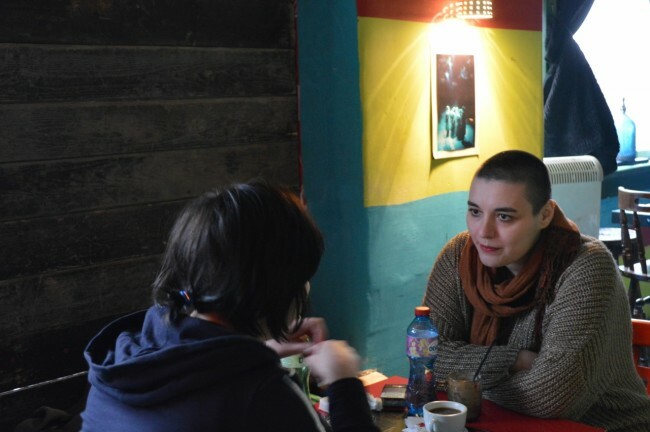 Is the Bucharest underground a market for the Romanian independent movie? Underground usually means trasgressive, violent; we are too poetic to be there (as in conceptual-sensorial, cinema du corp). Everybody speaks about challenges, but who’s challenging who? The challenge is from the reality towards the artists, and the effect goes towards the spectator. The artist only selects from the spectre of stimulations the ones that call him/her. Who did you challenge? How? We challenged Miriam, the lead actress, with an uncomfortable role (that you have to fight with), Nainer, the DP, who is a photographer – to think in moving images, the supporting actor, Radu, a comedy actor to embrace a limp character. We challenged the team to think in experimental and break away from the strictness of a usual shooting. Every person in the team has done more than in their “call sheet”. The reactions are different; the professionals usually criticize it, but after the third screening the audience started to get used to us, to like us. For instance somebody said that we reminded him of Bruno Dumont. Is casting difficult for the independent movies? The actors are young and they wanted to play. Probably the situation would have been different if we had older characters, as people are used to think with the money offer on table. Are the independent films competitions (festivals) a possibility to get financing to a movie? It is not really a possibility. Maybe for winning some prizes, yes. But anyway this kind of movie doesn’t bring revenues. For the moment we struggle to get solutions “Hertzog style”; to find our own financing solutions. We don’t believe in finding financing and we don’t even hope for it. For the independent films, the production is done with money from your pocket. How and when and where could somebody help you, somebody who believe in you, in the Romanian independent film? There is a very interesting button, called donate on stefanescuandrei.com:) We sell cd-s, we make unconventional screenings. We had 4 screenings by now, 100 people audience and about 200 lei received as donation. We are doing well:) We had our first screening, more like for friends, at Bragadiru Palace , where we also had our “headquarters” at om.om, followed by the more public screenings atLondophone, Panic, Awhere. “Sleep Awake” started from short screenplay. How expensive was it to let it “breathe” in 60 minutes? The movie is produced in exploitation system: rapidly, with a minimum budget, the Jess Franco kind of way. It started as a short film project only because the screenplay had 12 pages, but the production was designed for two days and it took two days. We were also lucky to have the equipment for free, as it otherwise would have been a charge of 2,500 euros/day. How did Bucharest help you as a setting? Bucharest as in its places, its people, its mind sets, its schizophrenia? Bucharest had, for the director, two faces in this movie. Both are very attracting to him: the neighbourhoods of the countless windows and the Bucharest of the 30s, with its houses which are now as ghosts, as enigmatic presences. Bucharest always had something mysterious, that’s why we avoided the modernity. It’s not easy filming in Bucharest, as all its dramas are very small (nothing is spectacular, nothing is strong in Bucharest). Bucharest helped us exactly through this ambiguous fog, like a mysterious mediocrity. Just like the film, Bucharest has a kind cacophony. Who supported you and how hard was to get it in front of the audience? The actors helped us because they wanted to; there was no need to convince them. Behind the screen there were a lot of people helping us with the equipment or locations (for filming and preparing the production). There were also difficult moments, but which challenged us to be creative (the last scene, for instance, needing a rails for the traveling, which we were missing, made us improvise… and the scene looks better than we had imagined it:). It was all Nainer’s idea. How your shooting day looks like? What is that you won’t do next time? We followed John Waters’ philosophy: filming 25 hours per day, no food, no drinks. The first day we filmed 14 hours and the next day 26 hours. On the next movie we are going to do the same. Linear A is a movie about an experimental/noise band, music that is the consequence of their life. The protagonists build their life as they like and they trust it. Even if the result of their trust is a crazy way, it is the truth for them and all the creation process gives them a sense. The way they are creating music is at the same time creating life. As for the title, Linear A is a pre Hellenic language from the island of Crete, still not deciphered. Linear B is deciphered. The movie is conceived as an artefact, just like the language. The sense is intrinsic to the story and the audience will look at it in astonishment, not knowing how to decipher it. And so are the characters living, as they belong to a different culture. Generally the experiment means to play with new filming techniques. What we do is to take experimental techniques and apply them consciously. We use tools like narrative deconstruction, performance, observational documentary, improvisation. All these tools can give an experimental feeling. Anyway the cinema has always been one generation behind the visual arts. What is the “experiment”? Who are the alchemists? The alchemists are the proletarians ready for cultural anachronic sabotage. The experiment is the third person between us and the audience, one we try to find. How Linear A would look like on low budget/no budget vs. independent film with a budget vs. commercial film. Could it be anyway? Ideally is that everybody gets paid. At the same time, better would be that nobody cashes before. We would like that people works by belief and not driven by money, as it happened with Sleep Awake. How is Bucharest in the screenplay, does it matter? Bucharest is peripheral, generally located between the last range of houses and the ring road. 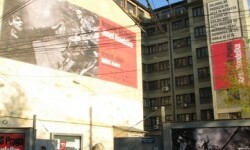 At the same time Bucharest is shown in its underground interiors. In Linear A Bucharest is a creature trying to kill the characters. The marginal people are just the others or are they us telling everybody how we really feel, after throwing away our branded clothes and our appliances? None of these. The marginal people are the sick ones, somehow, and they accept their illness and live it and find the resources in it, without constantly feeling the need to become healthy. How are the artists in Linear A beside marginal? What (who) inspired the script? The script is partly inspired by Andrei’s noise projects, partly by the life struggle with your own weapons, no matter how harmless and inutile they may be. Who are you and why you do this, did you choose the independent movie as a necessity or as a constraint? We chose the independent film because we belong to the human structure that is not attracted by the values and by the way the movies are done in Romania, mostly commercial movies. Independent film because it is an auteur film and you have the great advantage that you can do what you think is important. We are like the characters in Linear A. (We have no idea). We are very different under the same umbrella which allows us to be as we want to. We are like a band doing improvised music and we like it. Is the team of an independent film somehow a collective character? No. It would be nice. Where would you take for a walk in Bucharest a similar character (producer/director) from … any city that crosses your mind? 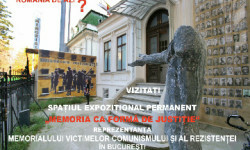 We would take him/her to Baicului neighbourhood, Casa Radio, Vacaresti area, Tineretului Park with its abandoned arena or behind People’s House (Palace of Parliament), Moara lui Assan (Assan’s Mill), Rahova. How is Bucharest beautiful and how is it ugly? Bucharest is great when deserted. The Bucharest through Reptilian’s eyes is beautiful.